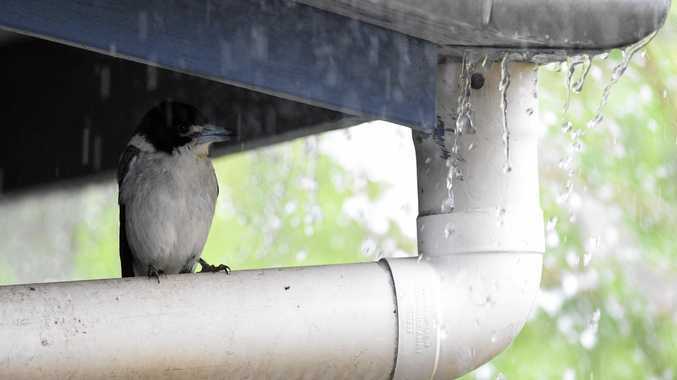 THOUGH it may only be a light shower at this stage, the Bureau of Meteorology said this afternoon's rain may be the beginning of a few days of cooler weather for the Darling Downs area. With today's drizzle barely reaching the ground, spokesperson for the BOM Harry Clark said the rain would become heavier by nightfall. "You can actually see the beginnings of it on the radar now but it's too light to be reaching the ground,” Mr Clark said. He said rain could be as heavy as 50mls in isolated areas and that the rain would cause temperatures to drop to a top of 25 degrees. He said the region could expect between 5-15mls per day until a possible storm on Friday.